Bi-Fold doors are the ultimate sliding door for your Newark home. They create a stunning entrance which will transform your property and they offer a wealth of benefits to ensure your home is performing at its very best. Our full range of double glazing offers prices that will please any homeowner. You can achieve these state of the art folding doors at a price to suit your budget, thanks to the wide range of options available to customise the design and finish. The beauty of bi-fold doors is that they will open up your Newark home, creating a vast living space which includes your indoor and outdoor areas. These stunning doors fold back to within a mere inch or so, leaving a seamless connection to your garden or patio. When you open your new folding doors to their full extent, you will be able to enjoy a stylish and functional space which is ideal for social gatherings and barbeques. Experience your home in new ways and transform your lifestyle with our incredible bi-folding doors. 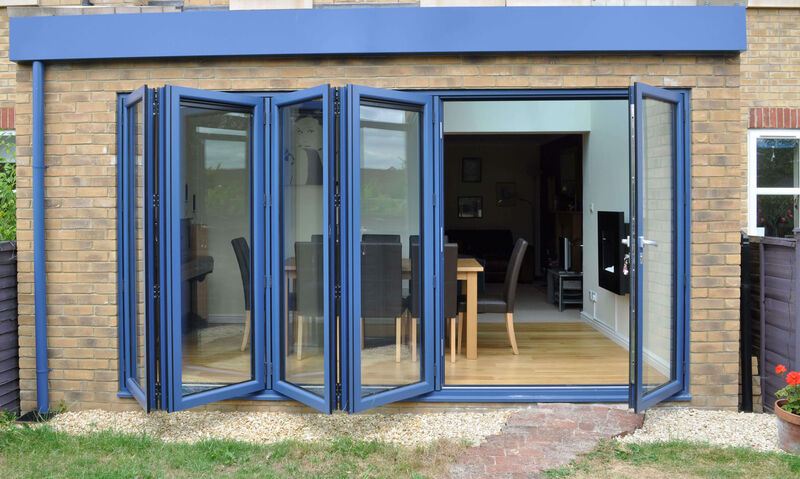 Our bi-fold doors in Newark are crafted using the unrivalled Smart Architectural Aluminium profile. The intelligent design features the latest thermal performance technology, including the impressive polyamide thermal break which helps to make these sliding doors so energy efficient. When you choose new bi-fold doors from Starglaze, you will benefit from superior thermal performance, making your home warmer and more comfortable even on the coldest of winter days. 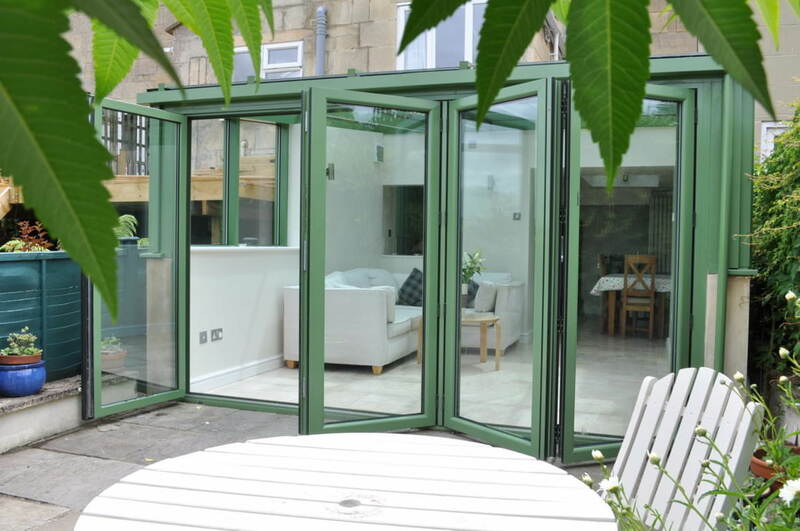 We work with high grade aluminium bi-fold doors, which are specifically designed to be environmentally friendly. Not only do they provide excellent energy efficiency, lowering your carbon footprint, but they are also fully sustainable. Aluminium is one of the few materials which can be recycled and repurposed endlessly without ever losing its natural qualities of strength and beauty. It is also tough and durable, so lasts much longer than other options on the market. If you are looking to create an eco-friendly home in Newark, then our bi-fold doors are a great choice. We love that aluminium is so strong, offering a natural protection against unwanted visitors. To enhance this and ensure your home and family are fully protected, our bi-folding doors also feature state of the art locking mechanisms. The outstanding locking systems we fit as standard to our bi-fold doors are super secure, offering an incredible level of protection. With these doors in place, you will benefit from the peace of mind that comes with ultimate security performance. Our aluminium bi-fold doors are completely customisable, allowing you to create a bespoke entrance to your Newark garden, patio or terrace. You can choose the perfect number of glass panels to meet your needs as well as the ideal opening configuration. In addition to this, you will be given a whole host of stunning colour finishes to choose from with our RAL palette. You can even opt for dual colour, choosing one shade to complement your interior décor and another to blend with your external brickwork. The finish and performance of our bi-fold doors is designed to last a lifetime, ensuring that with the bare minimum of upkeep, you benefit from many years of fresh beauty and impressive performance. At Starglaze, we make double glazing affordable, and our bi-fold doors prices in Newark are no exception. These luxury installations will transform your home, yet are cost effective too. Our online calculation tools will let you create a personalised bi-fold doors quote in an instant. Simply enter your choices and our clever system will do the rest. You can also contact our friendly team who will be more than happy to help with expert advice and guidance on bi-fold doors for your Newark home improvements.